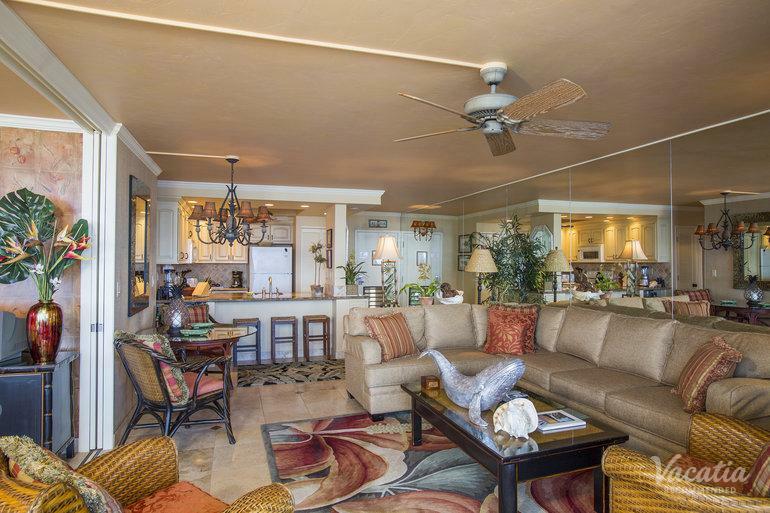 The two-bedroom corner suite features two private lanais with stunning views of the beach and ocean below. 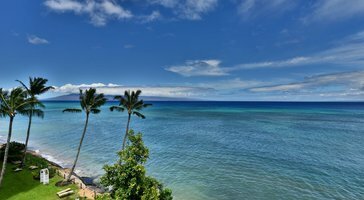 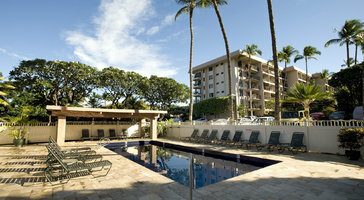 These Maui condos sleep 4 and feature 2 queen beds. 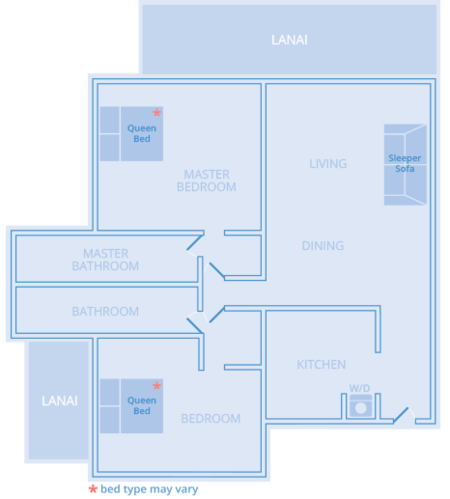 All two-bedroom condos provide guests with a separate living room, dining room, and full kitchen.